Not a creature was stirring…except for those rat bastards who broke into a house. The family at church, the thieves made away, with lots of their stuff—what a terrible day. “Mommy! They stole my Xbox,” young Tontrevion cried out. Police officers were there to see what’s the matter. They asked questions and made their report. Then they asked Mom to hold down the fort. Soon they returned, new Xbox in hand. 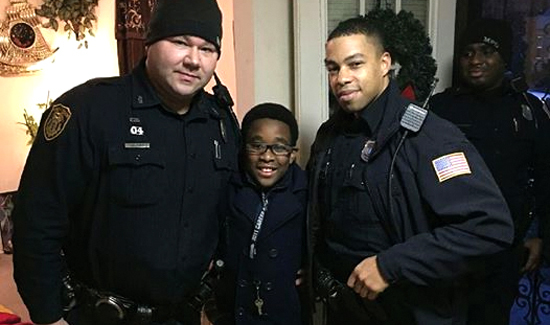 Cops, kids, and Christmas—we’ve seen it firsthand.